Residents of Clear Lake, Lakeport, Kelsyville and other Lake County communities don’t have affordable options when selecting a bankruptcy attorney. Fortunately, bankruptcy attorney Michael Benavides represents Lake County residents in chapter 7 bankruptcy for only $900. His low flat fee can help you achieve debt relief in Lake County, California. 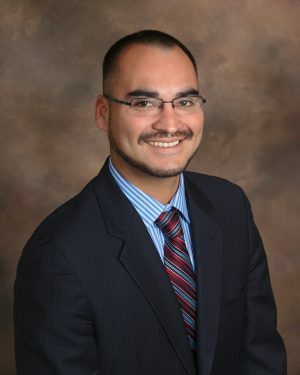 To learn more about your bankruptcy options call Michael Benavides at (707) 200-6688 for a free consultation. Chapter 7 bankruptcy is the most popular form of bankruptcy in Lake County. Chapter 7 bankruptcy can eliminate credit card debt, medical bills and other forms of unsecured debt. For instance, clients with personal loans and repossession deficiencies can erase those debts through chapter 7 bankruptcy. Chapter 7 bankruptcy is also the least costly form of bankruptcy. While chapter 7 bankruptcy attorney fees vary in Lake County, many attorneys charge less for chapter 7 bankruptcy than chapter 13 bankruptcy. Fortunately for residents of Lake County, bankruptcy lawyer Michael Benavides only charges $900 in attorney fees for chapter 7 bankruptcy. The first step to filing chapter 7 bankruptcy is learning more during a free consultation. By calling Michael Benavides at (707) 200-6688 you can receive a free phone consultation. You will learn whether chapter 7 bankruptcy is necessary given your financial situation. Some clients should not file chapter 7 bankruptcy or would have more success filing chapter 13 bankruptcy. After receiving a free phone consultation you can decide whether to hire Michael Benavides to move forward with bankruptcy. If you are ready to begin erasing debt through chapter 7 bankruptcy you can hire bankruptcy attorney Michael Benavides and begin the process of filing your bankruptcy petition. Lake County residents with high income, real estate or valuable assets may need to file chapter 13 bankruptcy. In chapter 13 bankruptcy clients can usually keep their valuable property. In exchange, clients will commit to a 3 to 5 year repayment plan in which they will pay a Court appointed Trustee their disposable income for that time period. Upon completion of the repayment plan certain remaining unsecured debts will be eliminated. Chapter 13 bankruptcy is not right for everyone. Clients with unstable or insufficient income may not be able to complete their 3 to 5 year repayment plan and eliminate their remaining unsecured debts. Accordingly, clients considering chapter 13 bankruptcy should consult with bankruptcy attorney Michael Benavides to determine whether chapter 13 bankruptcy is their best option for debt relief. How Much Does Bankruptcy In Lake County Cost? Bankruptcy can be costly at a time when clients can least afford extra expenses. With creditors calling and bills piling up many clients wonder “how much does bankruptcy cost?” In brief, chapter 7 bankruptcy costs will include attorney fees, 2 courses and the filing fee. Bankruptcy attorney fees vary between attorneys. Some Sonoma County bankruptcy attorneys charge more than $2,000 to represent clients in chapter 7 bankruptcy. In contrast, bankruptcy attorney Michael Benavides only charges $900 for chapter 7 bankruptcy. To file bankruptcy clients will need to complete credit counseling and personal financial management counseling. These courses can be taken online for $10 to $30. Your bankruptcy attorney can direct you to a cost-effective online provider. Finally, the court does not administer your bankruptcy case for free. Like many court actions the United States Bankruptcy Court charges a filing fee for your petition to be filed. At the time of this writing the chapter 7 filing fee is $335, payable either in full before filing on in installments upon court approval.